Buckle in – this is a topic I could rant about forever. At the end of 2017 I noticed a concept called “bullet journaling” popping up on my Pinterest feed. It took a few months of exposure to the concept before I actively went and checked it out – and I’m so glad I did. Put simply, bullet journaling is a system of symbols used in a planner. The system was created by Ryder Carroll, and as is guaranteed to happen with any great organisational tool, the creatives of the Internet took it and turned it into something even more amazing. Bullet journaling at its core is using a blank notebook and creating your own planner from scratch, designed to suit your life, workflow and the way you think. Then the Pinterest community made it gorgeous. I started a “BuJo” on the first day of 2018, at a time when I was suffering an as-yet-undiagnosed disease, eating an absolutely garbage diet, overscheduling my week, and basically treating myself and my health as an afterthought. As 2019 kicks off, I’m reflecting here on all the ways keeping a bullet journal has helped me completely transform my health and get my autoimmune disease under control. One of the best parts about drawing your own journal from scratch is the ability to track absolutely anything! Want to exercise more, hit Inbox Zero every weekday, drink 2L of water daily? All trackable. Even your productivity can be tracked, recorded and analysed later. All four of these were tracked as a simple checkbox – for example, if on May 17 I managed to get to the gym, and my energy levels felt good, I’d check both those boxes. If I ate a chocolate bar that day (or let’s be honest, a chocolate block) I’d leave the “low sugar day” box unchecked. Very quickly I started to notice a link between my symptoms and my sugar intake. 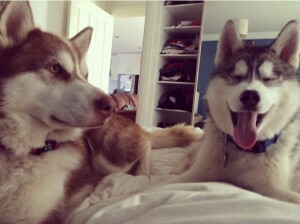 It was almost guaranteed that if Sunday was a high sugar day, Monday would be a “bad” day for my illness. This is one of those things that seems obvious in hindsight but I love my chocolate so much that I needed it literally laid out in black and white before I could motivate myself to make a change. Similarly, it’s really motivating to work towards a fitness or health goal and have the satisfaction of filling in a box in your tracker, or looking back on a great month of forming habits. If you have a goal in mind, whether it’s gaining strength, hitting a fitness goal, cutting out sugar/wheat/etc, a habit tracker is a fantastic way to keep yourself accountable. This past year has been a whirlwind of emotions and experiences, both good and bad. I’ve done my best to learn from the bad, celebrate the good, and continue seeking out the great. I started to see a therapist this past September and found out how amazing a good therapist can be – both personally and professionally. Having a therapist listen to you process information and past trauma can yield new discoveries and help you recognize where you are doubtful, insecure, or hurting in ways you wouldn’t catch yourself. I wish more people could overcome the stigma (and often the cost) to see a therapist. 10/10 would recommend. What was a life lesson you learned over this past year? I spent a lot of time on Pinterest planning out my first bullet journal and one of the first things to catch my eye was the Year in Pixels. This is a fantastic concept – you just assign a square to every day of every month, and colour it in based on what type of day you had. Some people scale their day – good, normal, bad – others chart their moods – happy, stressed, sad – but however you do it, it’s fascinating to look back on your completed chart and see what your year was like. It teaches you that a bad five minutes might not mean a bad day. I had to learn to discern between “I was annoyed this afternoon” and “today was awful” – I actually only had about four days marked as “awful” in my Year in Pixels, two of which were due to deaths of loved ones. It’s easy to write an entire day off as bad due to one or two stressful situations but keeping a Year in Pixels helps you keep a bit of perspective. Gratitude is one of the most powerful ways to improve your life, and one of the first things that gets forgotten when things get stressful. There have been so many studies on the importance of gratitude and your bullet journal is the perfect place to start a gratitude practice. The simple art of writing down just one thing you’re grateful for, every day – even if what you write on the 28th is the same as what you wrote on the 3rd, 10th, and 15th (and that thing is coffee!) you’re still training your brain to focus on how many wonderful things you have in your life – and the benefits of this are huge. At the beginning of 2018 I had found myself slipping into a “why me” attitude about a lot of things, and as annoyed as I was with myself for this, I couldn’t seem to shake it. I found the gratitude log concept on Pinterest and tried it for just one month – that was enough. Even my husband noticed the difference in my language – I was using phrases like “silver lining” and “at least [x] didn’t happen, this could’ve been so much worse”. Gratitude has become my weapon against stress and self-pity, and it’s powerful! Having a household chores tracker really helped me take steps towards keeping on top of this aspect of my life – I say “take steps towards” because I’m nowhere near “on top of it” but hey, I’m closer than this time last year! In a more general sense, the sheer act of having a bullet journal encourages self development. Having your tasks, habits, achievements and failures marked out so clearly makes self-reflection simpler and more factual. Sometimes it’s easy to feel discouraged and think “I haven’t achieved anything this year” – your bujo will prove that yes, in fact, you have! A popular spread concept is the “Year of New” – every time you do something for the first time – big or small (e.g. 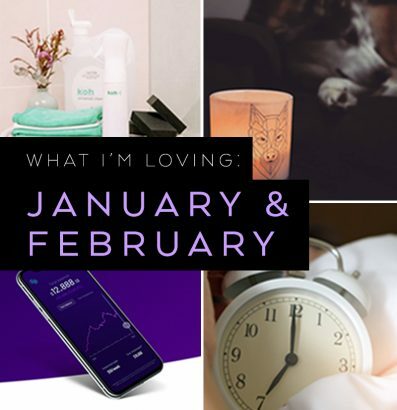 “got a puppy”, “drove into the city”, “tried sashimi”, “visited Brisbane”) you add it to your Year of New, and it becomes a really inspiring and encouraging page to look back on when you feel stuck – and a great page to review on New Year’s Eve. Similarly, plenty of bullet journalers use a self-reflection page at the end or beginning of each month or season to check in with how they’re going towards their goals, what went well, and what they want to focus on in the coming months. It’s a wonderful way to just check back in with life, see the bigger picture, and feel more in control of things – especially in more chaotic times when you might be feeling like there’s so much going on that you barely have time to react, let alone plan. One last note: there’s a reason I didn’t really mention weight loss. It’s a goal of mine every year to tone up and lose weight, but I have to be careful about how I approach it! Food diaries and weight trackers are great additions to your bujo, but only if you already have a positive relationship with food and weight loss – if you have a difficult relationship with these things or they cause you stress, it might be better not to track this kind of thing. In my case, whenever my weight fluctuates, I get annoyed and either stop tracking entirely or binge. Not useful. Instead, focus on how your moods improve when you eat well, or how you’re able to get up those stairs just that bit faster. I have a “low sugar day” column in my tracker and this has proved to be a much more positive way to encourage good eating than specifically tracking my weight. This is why the bujo is such an amazing concept – if one method doesn’t work for you, you have hundreds of blank pages waiting for you to try something else. So that’s it! 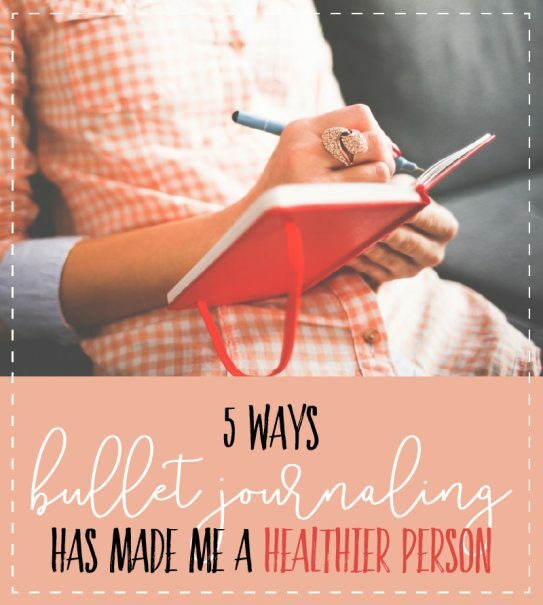 Five major ways bullet journaling has made me a healthier person. I’d love to read your comments on how your bujo has helped you with your physical or mental health, general wellbeing or staying in control of your life.